Both Drs. 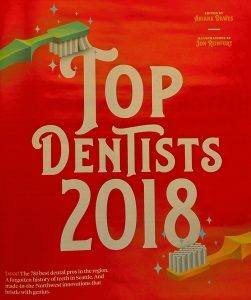 Alexander and Kavita Shor were voted Seattle’s top dentists. This is 9th consecutive year for Dr. Alexander Shor and 2nd consecutive year for Dr. Kavita Shor. The results appeared in the January issues of Seattle Met magazine.